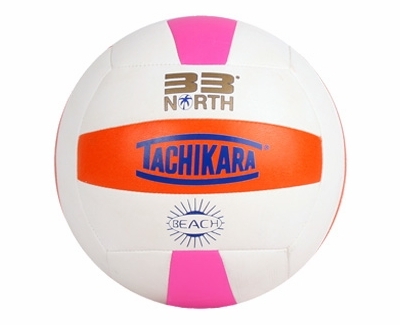 This brightly colored Tachikara 33 North Volleyball was designed specifically for Outdoor or Beach Volleyball play in mind. The 33North Composite outdoor volleyballs feature Man-Made Leather and a durable Butyl Bladder. This Hand Stitched outdoor Tachikara volleyball is perfect for playing on grass or sand.